A full line of vacuum inlet traps and filter media for protecting vacuum pumps employed in research and production ALD (Atomic Layer Deposition) processes is available from MV Products of North Billerica, Massachusetts. MV Vacuum Inlet Traps for ALD processes range from 4” to 16” dia. with port sizes from NW-25 to ISO-160 for protecting vacuum pumps in applications with vacuum flow rates from 25 to 2000 CFM. 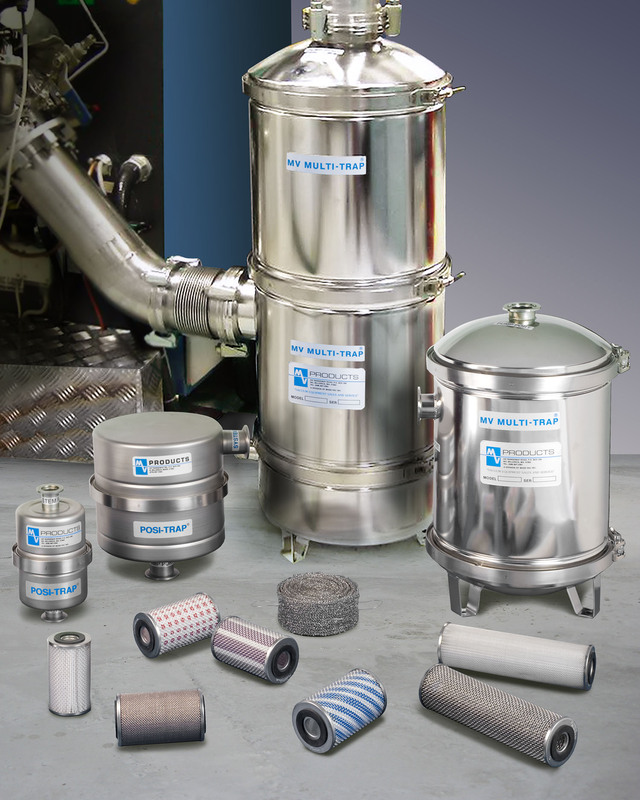 Featuring interchangeable filter elements, these durable stainless steel traps can be easily customized by users to remove all ALD process byproducts from precursors such as TMA, TiCl, DeZ, and H2S, including particulates and unreacted precursors. Suited for the ALD manufacturing of ICs, MEMS, LEDs and OLEDs, optics and displays, batteries, and more, MV Vacuum Inlet Traps include the PosiTrap® and Multi-Trap® product lines. Interchangeable filter elements include stainless steel gauze for particle filtration, activated charcoal for unreacted precursor adsorption, Sodasorb® for acid neutralization, and Sulfatreat® for H2S neutralization. MV Vacuum Inlet Traps for ALD processes are priced from $249.95 up, depending upon configuration. Price quotations are available on request.